A sample C programming code for a real time calculator application program is given below. 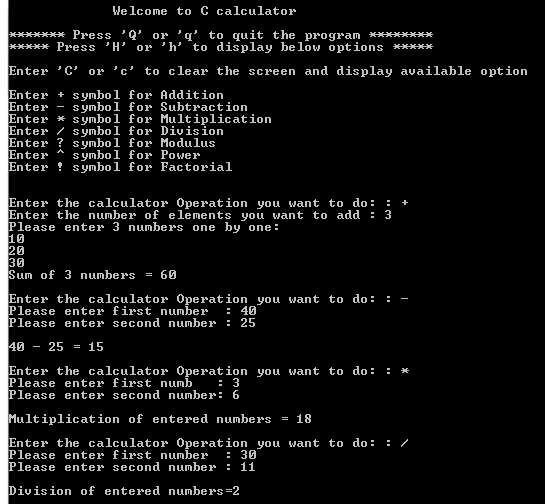 This program will perform the below calculator operations. In below c programming code example, the user is prompted to choose the operations(i.e. addition, subtraction etc) to be performed and then prompted to key in the values which are used to perform the operations. Then, the result will be shown as output to the user. #define KEY "Enter the calculator Operation you want to do:"
Continue on “C code for bank application”….